This artwork is made from 'Maluti' cans from Lesotho, a country in southern Africa. The customer collected the cans when they worked in the country and brought them back as a souvenir on their return to the UK. After sitting in a cupboard for years the customer decided she wanted them to be used to create an artwork. The Maluti cans were perfect to use for the picture, the circle part in the centre worked so well. 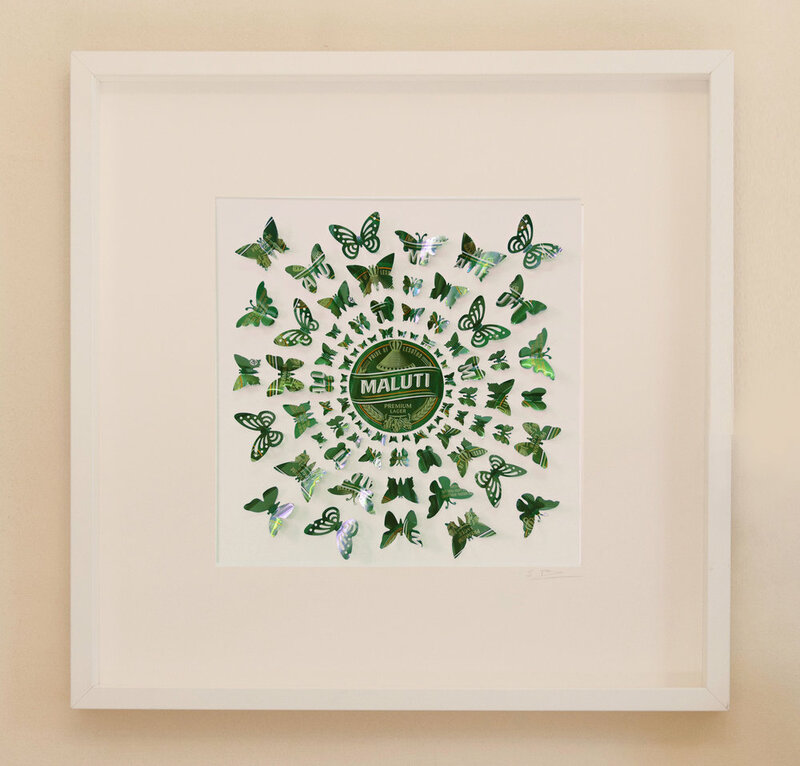 Customer Quote: "I am thrilled with the artwork made from my Maluti cans. I look at it every day and smile as I remember the happy times I spent in Lesotho. It is unique and very special. Thank you Sarah." If you would like a picture made from a certain drinks can or from cans you have collected just contact us. We are always looking to make new artworks and create new ideas.